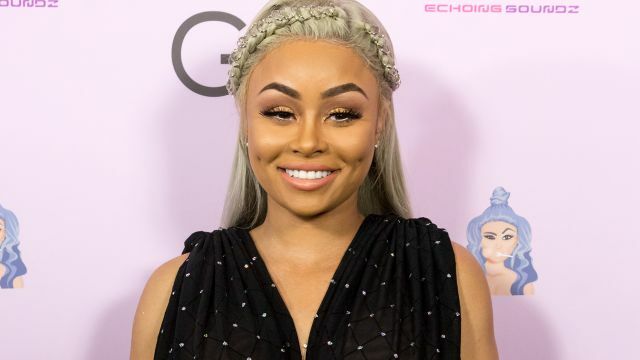 Two weeks after Blac Chyna and her fiancé, Rob Kardashian, announced they were expecting, the model took to Instagram on Monday to share a photo of her ultrasound. "For a long time I felt like King was going to be an only child. That he was my greatest blessing and we were gonna live happily ever after together Just the 2 of us," Chyna wrote, referring to her 3-year-old son, King Cairo, whom she shares with ex-fiance Tyga. "I was no longer looking for love because I thought I had all that I needed. We needed." "But look at God! Here I am Engaged to be married to one of the greatest men I know who loves King & I unconditionally AND having another bundle of joy," she added in the caption for the black-and-white sonogram. "I just want to say Never give up & ALWAYS have faith because fairytales DO come True," Chyna, 28, continued, tagging the sweet pic, "#LookAtOurLittleNugget #KingsGoingToBeABigBrother." Chyna has been keeping her fans updated about her pregnancy, including how much weight she's gained over the last few weeks. In a snapchat posted over the weekend, she revealed that she's put on 20 pounds since conceiving. Check out the video below to hear more from Chyna about her pregnancy journey.